In 1989, husband and wife team, Allan and Cheryl Denesowych incorporated Yorkton Aircraft Service, after purchasing the maintenance assets of the legendary Yorkton Flying Service Ltd*. 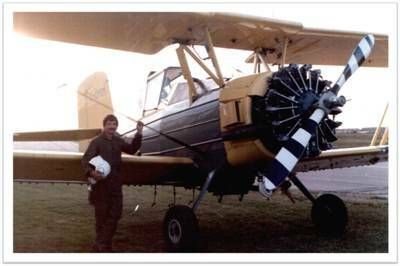 At the time Allan was an AME and a Commercial Ag Pilot. 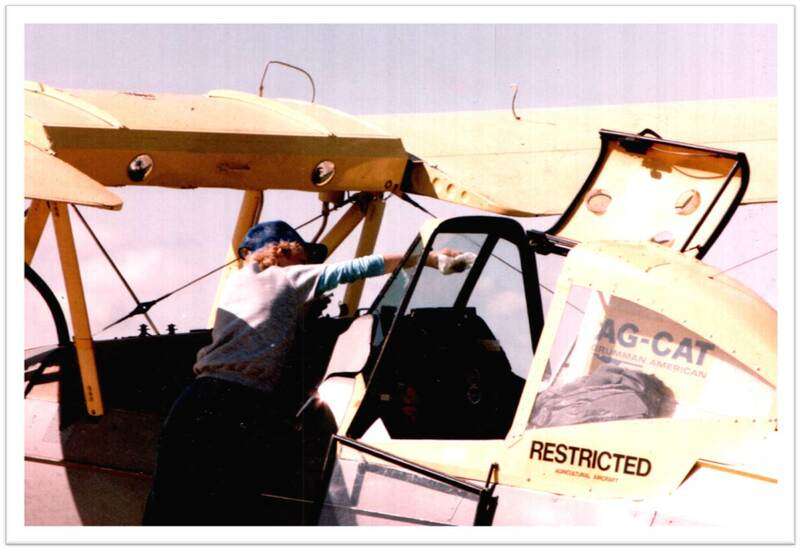 "While fixing and flying I became keenly aware of the lack of support for these planes in Canada and also saw the potential for ag air in the future. I loved to fly but understood as well that to build a customer base I couldn't also be flying Ag. I needed to build relationships with part suppliers and I was proud to be able to say to them 'no I don't fly ag anymore - I'm not motivated by trying to get discounts for my own fleet, I am motivated to have on my shelf WHAT the Canadian aerial applicator needs, WHEN he needs it, so this Canadian industry can grow." explains Allan. "Plus to gain my customer's trust it didn't make sense to also be in competition with them for spraying acres. That just doesn't fit my personality and we needed to focus on our why we chose to start our business." Allan put his ag helmet on the shelf and started Yorkton Aircraft Service. Building relationships with suppliers in the USA - where most of them were - also gave the company access to product smarts and best practices being used there. "The USA ag air market was signficantly more developed than Canada in 1989 so I worked hard to align myself with great people across the border. Till this day - 28 years later - many of these people are still my great friends and I am proud to have their items on our shelf here at Yorkton, waiting to help someone who is down." Being support for Ag flying is not quite the same adrenalin rush as ag flying, but the company's background and focus gives them a great sense of exhiliration when they know they have minimized someone's downtime or helped that operator grow their business with the service and knowledge offering. The result is a very caring and passionate company. "When we bring in a new staff member we say to them - can you imagine what it is like to be a Nascar pit crew guy? That's what we do here," comments Cheryl. Today, the two owners are actively involved in every aspect of this company. Their staff not only include AMEs - but pilots too. The YAS team is one that Allan and Cheryl are very proud of. "We can easily use these words to describe our staff - engaged, passionate, hard workers, committed, continual learners, team players, detail oriented but big picture viewers, " comments Allan. "Everyone brings a specific skill set that is complimentary to the team, and rounds us out superbly" adds Cheryl. Keeping on top of advances in product lines and bringing new products to Canada continues today. With that comes support. " We don't sell what we can't support. We are a support company, not just a retailer. We learn the product so that we can take those calls when issues come up " emphasizes Cheryl. "If you look at our logo, Yorkton Aircraft is behind an ag plane, it's what we have always done and will continue to do." Feeding the world is a noble cause. Yorkton Aircraft Service is committed to helping ag operators rise to the challenge. To say it was legendary is to pay this company the respect it deserves. While no longer in business, the last owners Allan worked for - Doug Ingham and Garry Reusch - are still active in aviation. Doug is a Certified Flight Test examiner and he is active in fuel sales at the airport. Garry is using his strong flying skills as a Fire Fighting Pilot for Conair in Canada and goes to Australia in the opposite season to help protect that country's forests. In 2005 Doug Ingham was inducted into the Hall of Fame.